Recently I came across a few zip file and wanted them to extract within my Google Drive, for downloading individual files from them instead of downloading the whole Zip archive. 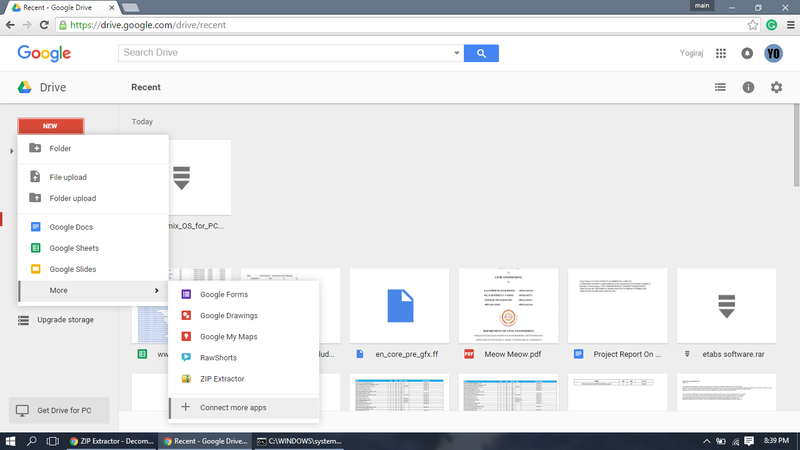 This created a need and I started looking into drive apps which provides almost huge varity to do things direct from your Google Drive. 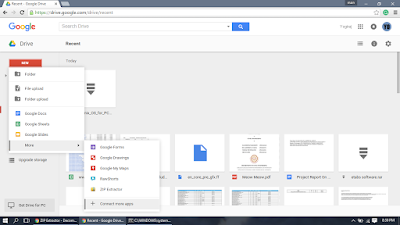 So I finally found a few slow but good solution for saving my bandwidth and extracting zip file in Google Drive. First of all Open your Google Drive and go to "New" and click on "Connect More App" option. Now Type Zip in search bar and choose Zip, UnZip app from the list. Now select the zip file and open it. You will need to authorize the app for the first time. This will download your files and save it on their server, if file is bigger it may take a little time (In my case it was 2 GB, actually I was download Remix OS but I had to download just one file from the zipped version). Once file is downloaded you can proceed by selecting the file and click on download. I am also thinking to make videos for these kind of tutorials, if you think you can help with it let me know through Facebook.